The mayor was joined at the announcement by Dave Moss and the McDonald’s owners and operators of Greater Houston, Dr. Stephen Head, Lonestar College Chancellor and Carolyn Watson, JP Morgan Chase, VP of Global Philanthropy. Other donors and partners attending included Aldine ISD, AT&T, BakerRipley, Burns BBQ, Chevron, Citgo, Comcast, Greater Houston Partnership, HGAC, Houston Airport System, Houston Food Bank, Houston Independent School District, Reliant, Student Conservation Association, Verizon, and Workforce Solutions and many others. JP Morgan Chase has generously donated $100,000 to Hire Houston Youth (HHY) to create the HHY Healthcare Scholars program. Healthcare is one of seven sectors critical to the Greater Houston region’s economy, and while there is great student interest and demand for skilled healthcare workers, a disconnect remains between students, educational institutions, and employers. HHY Healthcare Scholars is an “earn and learn” program designed to empower vulnerable youth to explore healthcare careers through industry-specific curriculum at Lonestar Community College and paid work opportunities with local healthcare employers. The Hire Houston Youth jobs program application deadline has now been extended. 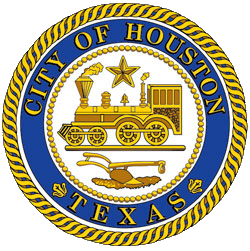 All youth ages 16 to 24 in the Houston area can apply for City of Houston positions through April 6, 2019 and both private and nonprofit businesses and organizations through May 3, 2019. 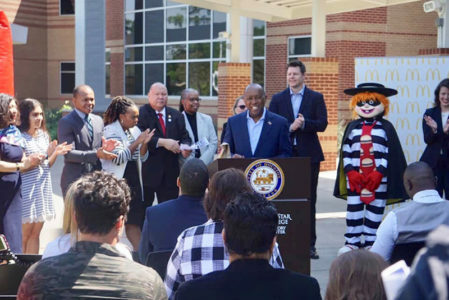 In addition to the online applications, the McDonald’s Owners and Operators association partners with the City of Houston and Hire Houston Youth to conduct job fairs at various locations throughout Houston. Youth have the opportunity to interface with companies and organizations from various industries, some of which interview and hire on site. For more information – https://www.houstontx.gov/mayor/press/hire-houston-youth-applications-2019.html.